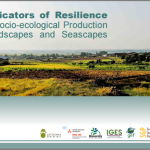 The “Indicators of Resilience in Socio-ecological Production Landscapes and Seascapes (SEPLS)” are a set of 20 indicators designed to capture different aspects of resilience of landscapes and seascapes – ecological, agricultural, cultural and socio-economic. 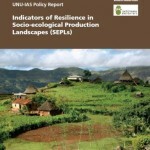 The indicators were produced as an outcome of IPSI collaborative activities, and aim to provide an analytical framework for assessing and strengthening resilience and are used as a tool for engaging local communities in adaptive management of the landscapes and seascapes in which they live. 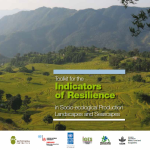 The publications below have been produced through work with the indicators.